When I was a kid, most boat owners I knew handled fitting-out and laying-up jobs themselves. Caulking and painting bottoms (boats were built of wood back then), winterizing engines and tuning them up in the spring, laying on a glassy coat of topsides paint—all were do-it-yourself jobs. Owners who hired yards to do such tasks were either deficient in manliness or too wealthy for their own good—the kind of people who cut the crusts off their cucumber sandwiches. And although the yard was always happy to get a work order, most would sell you the supplies and let you get on with it. Folks handy with tools, paint brushes, and scrapers could save money and maybe have some fun along the way. Kids with boat fever could make a few bucks helping out, too. Those days are over. 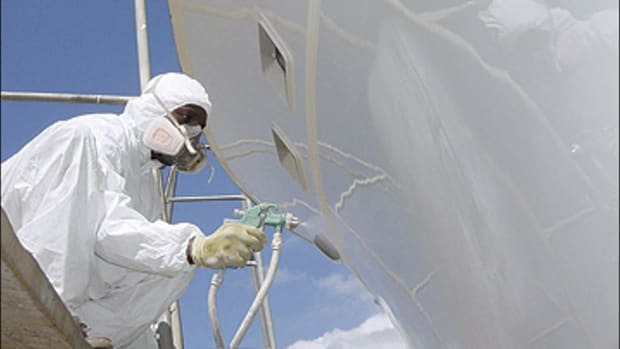 Thanks to legal and economic concerns, today few boatyards permit owners to save money with sweat equity, especially on environmentally sensitive jobs like painting the bottom. 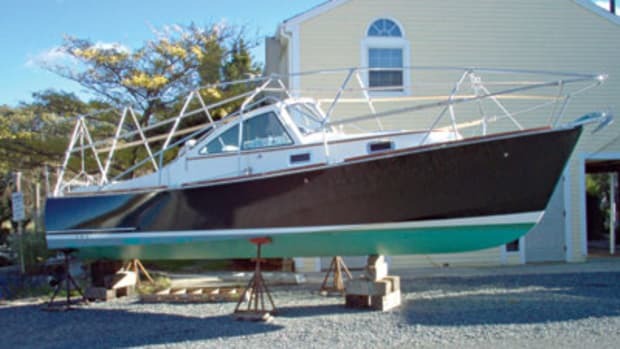 In my neck of the woods (southern New England), yards charge $15 to $20 per foot to recoat previously painted bottoms, so if he could find a yard that would let him, the skipper of a 35-footer could save maybe $400 by doing it himself ($700 the yard would charge at $20 per foot, minus $300, give or take a bit, for paint, brushes, sandpaper, and a cheap tarp to catch the chips and drips). However, you&apos;re more likely to discover the Holy Grail sitting on your swim platform than to find a yard that will let you paint your own bottom. Painting bottoms is a crappy job anyway, so maybe it&apos;s better you don&apos;t have the option of doing it yourself: You won&apos;t be accused of taking the coward&apos;s way out if you pay the yard. While prepping the bottom, any scrapings of old, loose paint have to be caught in a tarp and disposed of, or you risk the wrath of the EPA. Dust from sanding is toxic and gets all over you unless you wear a full-coverage suit. And although you can use a long-handled roller to coat most of the bottom, some areas must be attacked the old-fashioned way, with a brush. This means crawling under the boat, hurting your back, knees, and hips in the process and inevitably having toxic antifouling paint drip on your skin. Who needs it? Pay the yard, even if it gives you the option of swinging the brush yourself. 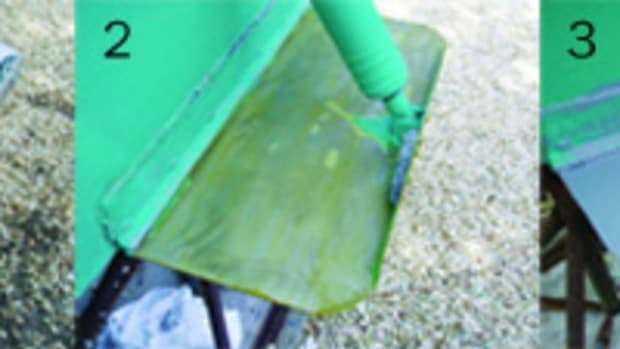 Waxing the topsides is another no-skill job that nevertheless costs real money if the yard does it—anywhere from $11 to $13 per foot, plus materials, where I live, or more than $455 for the abovementioned 35-footer. 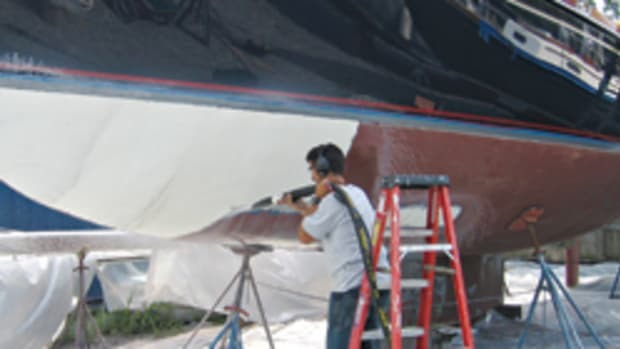 Most yards reserve hull waxing for themselves, but if yours does not, do it yourself and use the savings to buy fuel. 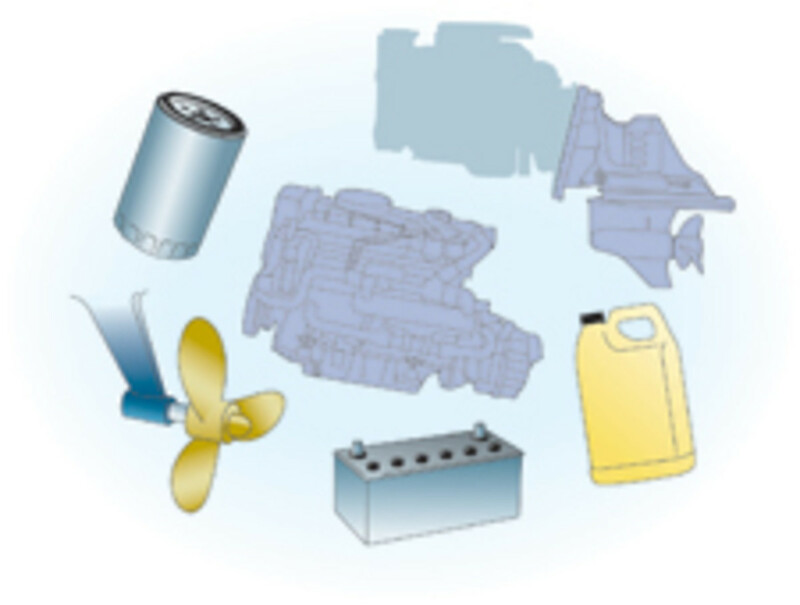 You&apos;ll need soap, a hose (the hull must be washed first), wax, sponges, rags, an electric buffer, probably 100 feet or more of heavy-duty extension cord, and a ladder if your topsides are too high to reach from the ground. Tall boats require staging for hull work, so unless you own a construction company and have your own scaffolding, bite the bullet and turn the job over to the yard. Otherwise, there&apos;s no reason not to do your own waxing: It&apos;s easy (relatively speaking) work, you can do it standing up, not twisted like a pretzel under the boat, and an afternoon&apos;s effort can save you hundreds of dollars. If you wax your own topsides, wash the hull first, then use a low-speed orbital polisher and light pressure so you don&apos;t remove the gelcoat. On- and below-decks jobs are fair game for doing it yourself, and many require minimal skill. Given the labor rates—up to $100 per hour where I live—you can easily shave a few bucks off the bill by taking on some of these chores yourself. 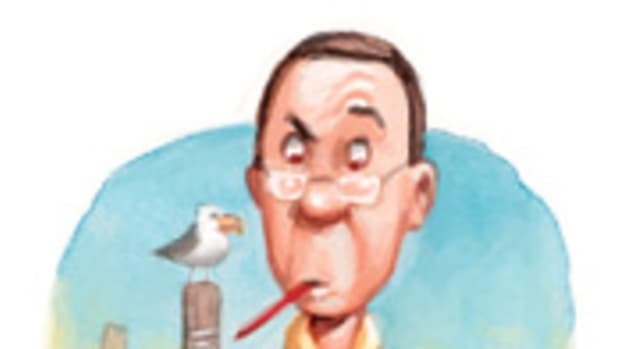 For example, the yard will charge for winterizing systems—fresh water, water heater, heads, washdown, air conditioning, etc.—then charge again for commissioning them in the spring. My yard bills $100 for the freshwater system, $60 for the water heater plus each head and air conditioning unit, and $30 each for washdown, baitwell, or ice maker. Winterizing things yourself can save a couple hundred bucks, and it&apos;s not rocket science. Just be sure all systems are swimming in antifreeze; fresh water left behind will freeze and probably cause expensive damage. Commissioning is even easier, so why pay the yard? What about changing your own oil? Engines should be laid up with fresh oil in the crankcase, and the oil should be changed at proper intervals during the season if you rack up a lot of hours (like more than 200). 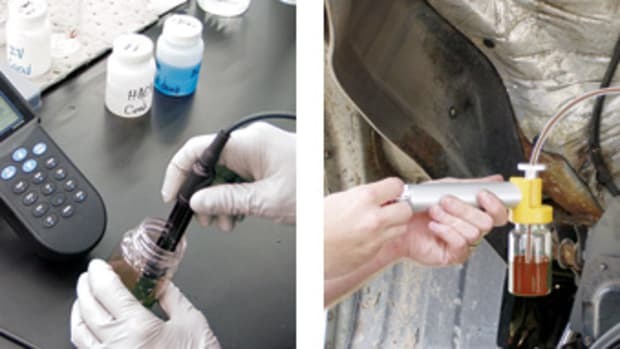 If you have a built-in oil-change system, this is a no-brainer, although you&apos;ll need a legal place to dispose of the oil—no dumping it in the sand behind the mechanic&apos;s shop like we used to do way back when. 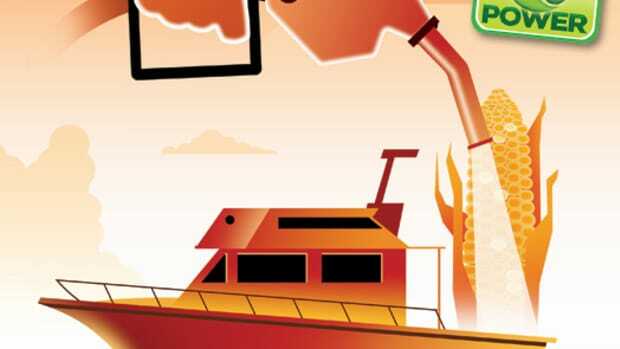 Otherwise you&apos;ll need a pump to draw out the old oil through the dipstick tube; most people buy a cheap drill-powered model, but I suggest you splurge for a 12-volt model mounted on a five-gallon bucket to catch the dirty oil. It&apos;s a lot easier and makes less mess but will cost you around $150. How much will you save? Not much: My yard charges a flat $75 to change crankcase oil and filter on a gasoline engine, plus materials—double that at least for a diesel. Why bother? Pay the yard—better yet, pay it to install an oil-change system. What about tune-ups? Back in the four-barrel-carb, points-and-condenser days, any boat owner worth his toolbox would tune up his own engine. And most of them got towed in at least once during the season, sometimes more. Today&apos;s electronic-brained, fuel-injected engines require sophisticated diagnostic equipment to do a complete tune-up, along with mechanics who know how to use it. (Funny thing is, these complex new engines don&apos;t break down as often as the "simple" old ones did.) Unless you really know your stuff mechanically and electronically, give tune-ups to the yard; what you save doing it yourself you&apos;ll probably spend later on SeaTow. Make a waterline by masking the bootstripe with blue painter&apos;s tape. It&apos;s easier to remove and less likely to damage the surface than white tape. But it&apos;s not all bad news: Any jobs above the rails fall within the realm of do-it-yourself. Compounding and waxing cabin sides and deck (not the nonskid, please) plus cleaning and polishing stainless steel are time-intensive but dead easy, so why pay the yard? If you don&apos;t want to do it yourself, hire a kid for a tenth of what the boatyard would charge. 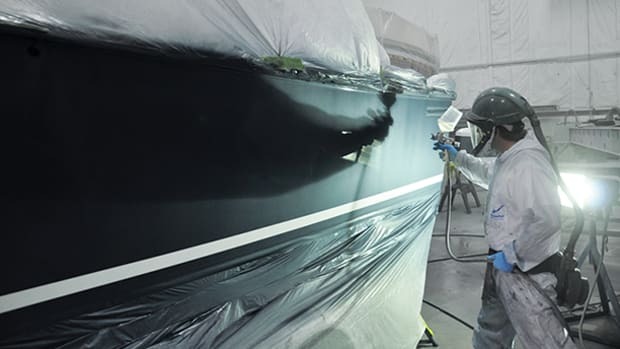 Ditto brightwork, if you&apos;re unfortunate enough to be shipmates with any: A good varnish job, like any paint job, is 90 percent preparation, but do you want to pay the yard $80, $90, or $100 an hour for sanding? Even if you&apos;re not a wizard with a badger brush, the coat you lay on will be good enough for all but the most discerning eyes. You&apos;ll have to do it again in a couple of months, anyway. If your brightwork needs stripping down to bare wood and you have a decent amount of it—for example, what you&apos;d find on a Grand Banks or another typical Asian-built boat—rethink doing it yourself: It&apos;s a job from Hell, fussy and time-consuming. Whether you scrape off the old coating (easy to damage the wood) or use a chemical stripper (messy to the Nth degree), by the time you&apos;re half-finished, you&apos;ll be screaming for mercy. (At least I was.) But instead of delegating the job to the yard, call a brightwork specialist. You&apos;ll find a bunch of them in every seafarin&apos; town; they&apos;re usually quite adept and less expensive than the yard. A final thought: The jobs discussed above are maintenance chores, like painting your house or washing the car. Before obsessing over cutting your yard bill to a fraction of its former glory, think about what your time&apos;s worth. Unless you really enjoy hands-on stuff, maybe it&apos;s a wiser use of scarce resources to pay the yard and spend your free time doing something you like. Boating is supposed to be fun. My advice: Keep it that way. Write a check. Pressure water: Turn off the water heater and disconnect its intake and outlet hoses and connect them. Some heaters have valves on each and a shunt between them; closing the valves directs water through the shunt. In any case, removing the heater from the freshwater system keeps it from filling with antifreeze during winterization. Drain the water heater; read the manual. Leave the plugs out and the intake/outlet hoses joined until you flush the system in the spring. Next run the freshwater system dry, then dump two or three gallons of potable antifreeze (usually pink) into the water tanks. Open every freshwater outlet—faucets, showers, ice maker, etc.—until the liquid flowing out is pink. If you run out of liquid before you see antifreeze at each outlet, add more to the tank and continue. When every outlet is dripping antifreeze, shut off the pump. I leave the faucets open so condensation doesn&apos;t accumulate in the lines and maybe freeze. In the spring, add five or ten gallons of fresh water to the tank, then run all the outlets until you can&apos;t taste any antifreeze. Add more water if necessary, but don&apos;t fill the tank, or all the potable water will be tainted by antifreeze. Once the system is flushed clean, close the drain on the water heater, reconnect the hoses, and let it fill before turning it on. Heads: Flush each several times with the cleansing product the manufacturer recommends, then empty the holding tank. Pour a gallon of potable antifreeze into the tank to protect any liquid that&apos;s left. Pump antifreeze through the waste system via the toilets; operate the Y-valve, macerator, etc. to ensure antifreeze gets in all the hoses. Better to use too much than have a freeze that releases sewage when the thaw comes. In the spring, open the seacocks and use the heads normally. Any antifreeze in the lines will end up in the holding tank. Other systems: Remove the raw-water intake hoses from air conditioning units, baitwells, washdowns, etc., stick each one in a gallon of antifreeze, and operate the system until antifreeze comes out the other end. Reconnect the hoses, but leave the seacocks closed; once the boat is hauled, open the seacocks so condensation can drip out over the winter. Some skippers remove the raw-water impellers so they don&apos;t take a set. I question this, but admit it comes under the "can&apos;t hurt" category. You&apos;ll find instructions in the rebuild kit you should carry onboard for each pump. When you reinstall the impellers, coat them with dishwashing liquid to provide a good seal and some lube until they fill with water.—M.S.